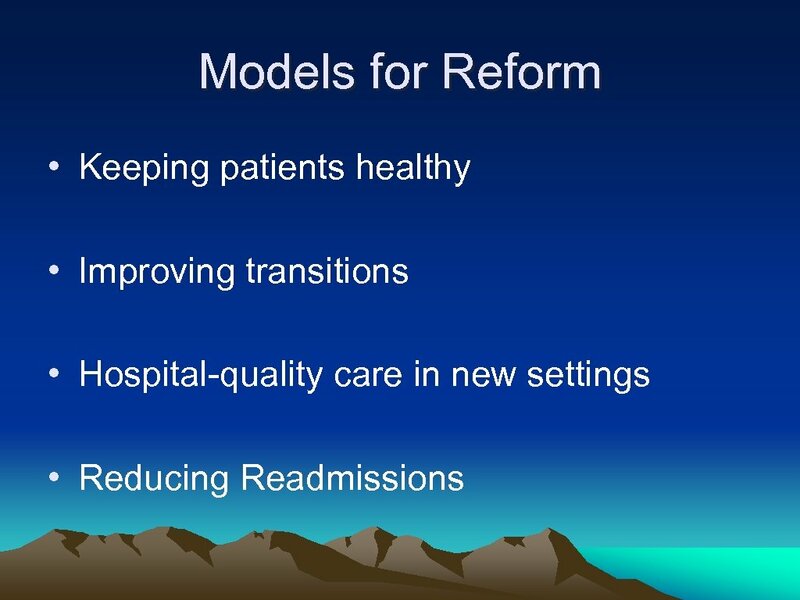 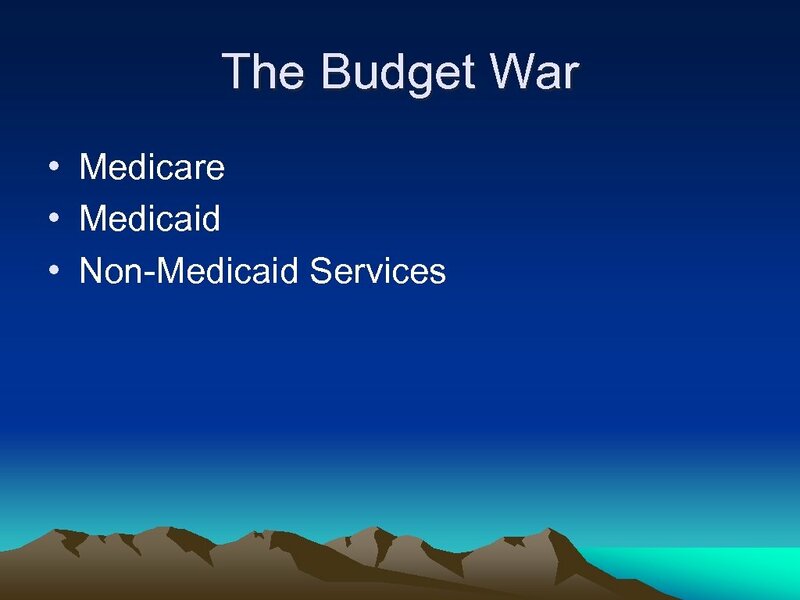 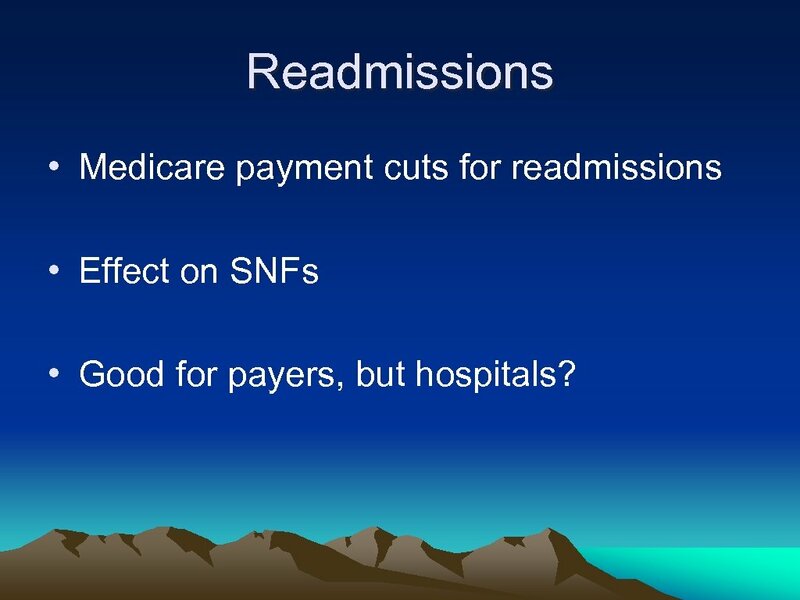 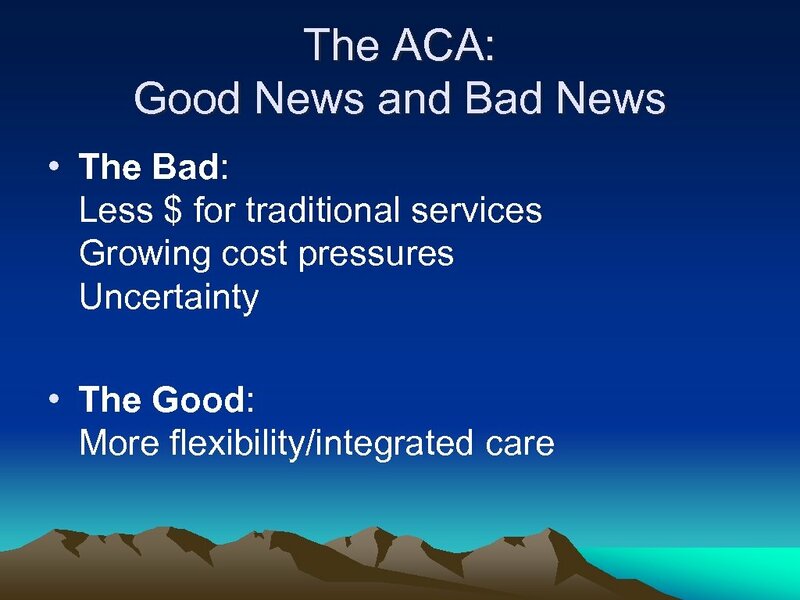 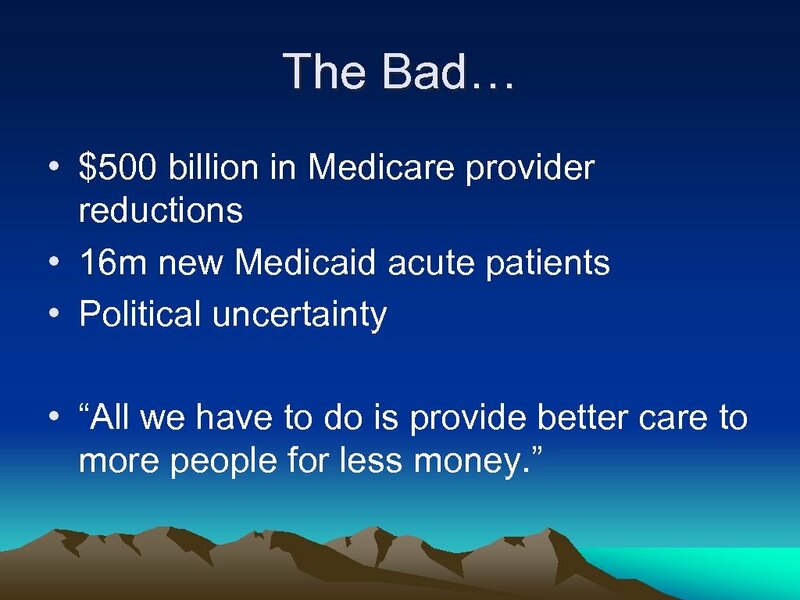 Readmissions • Medicare payment cuts for readmissions • Effect on SNFs • Good for payers, but hospitals? 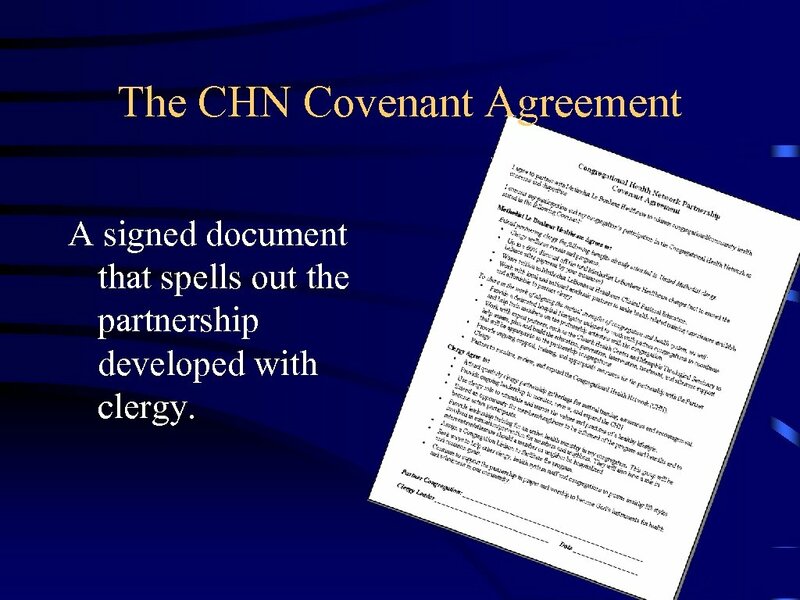 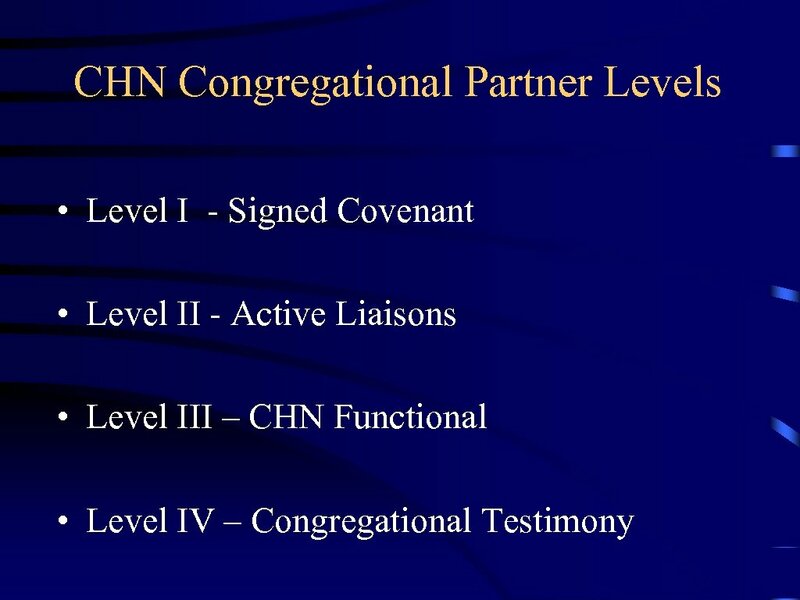 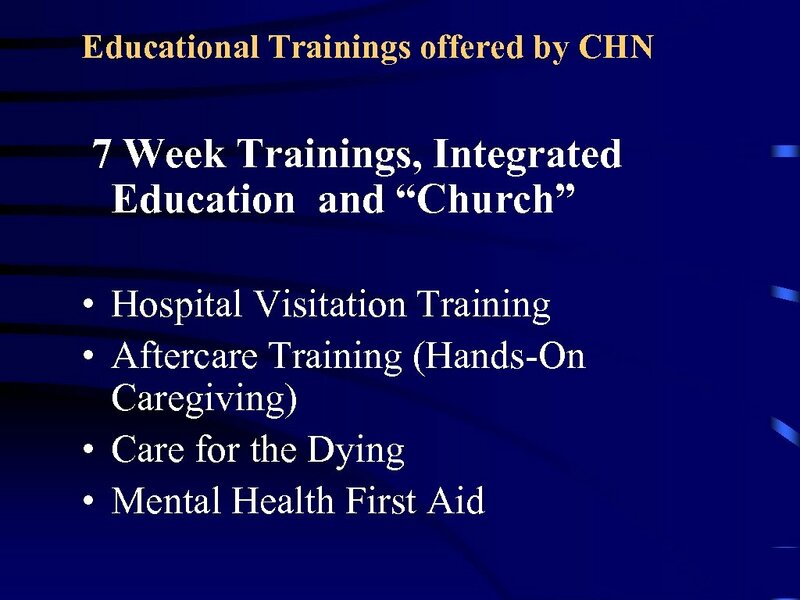 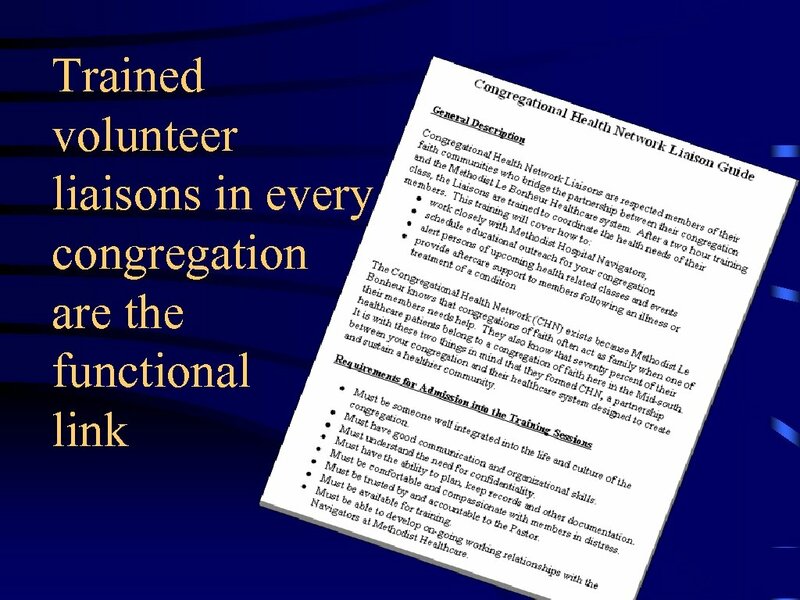 The CHN Covenant Agreement A signed document that spells out the partnership developed with clergy. 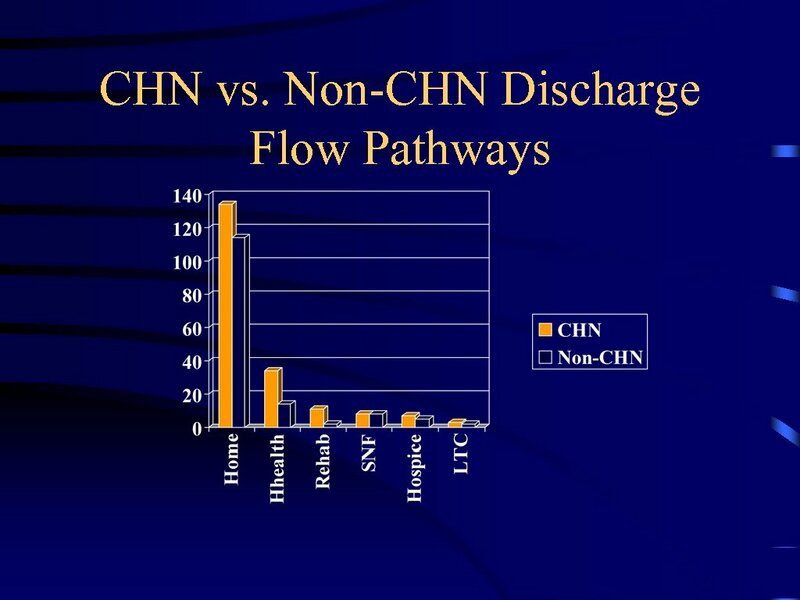 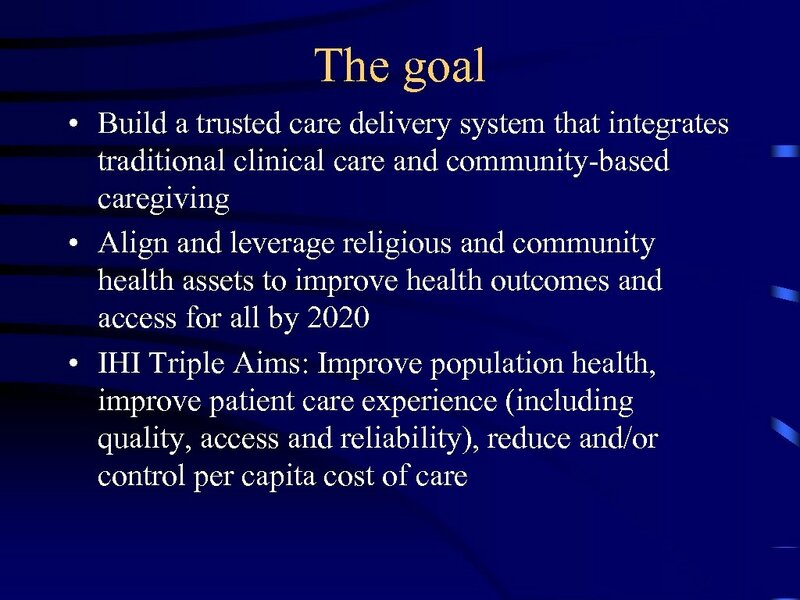 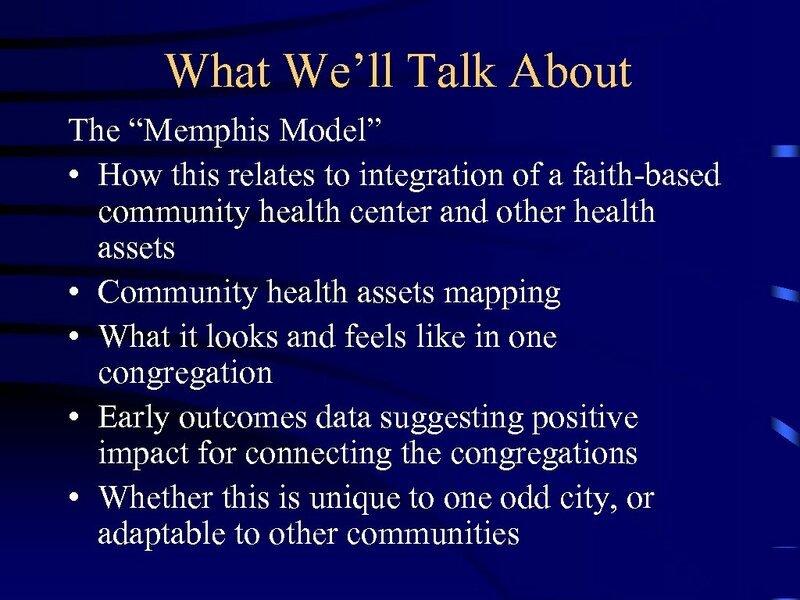 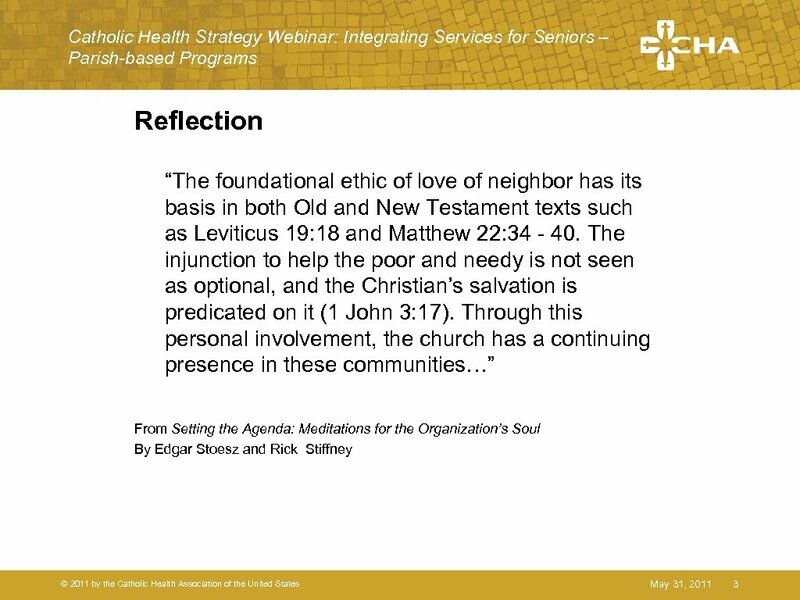 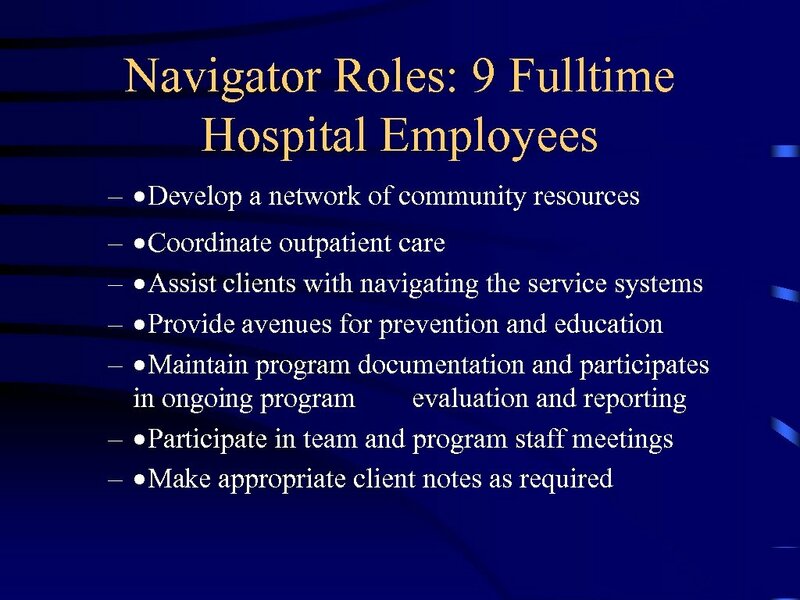 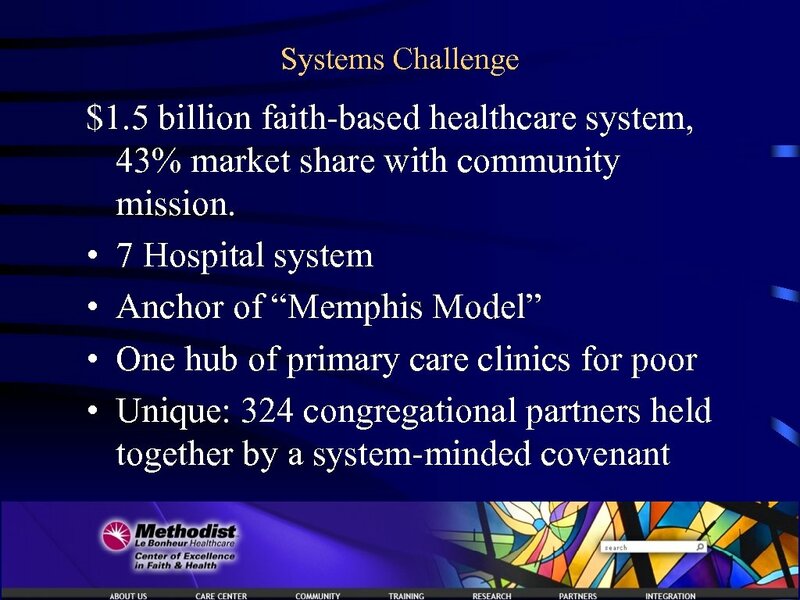 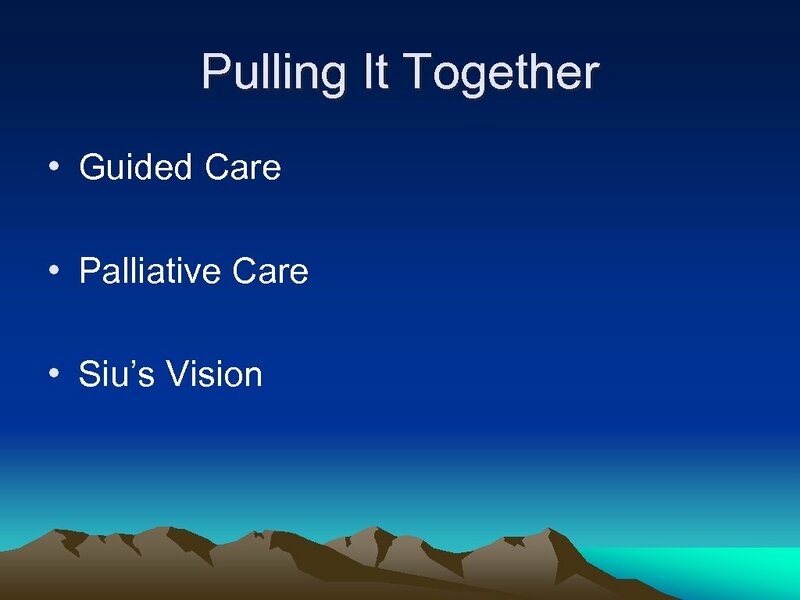 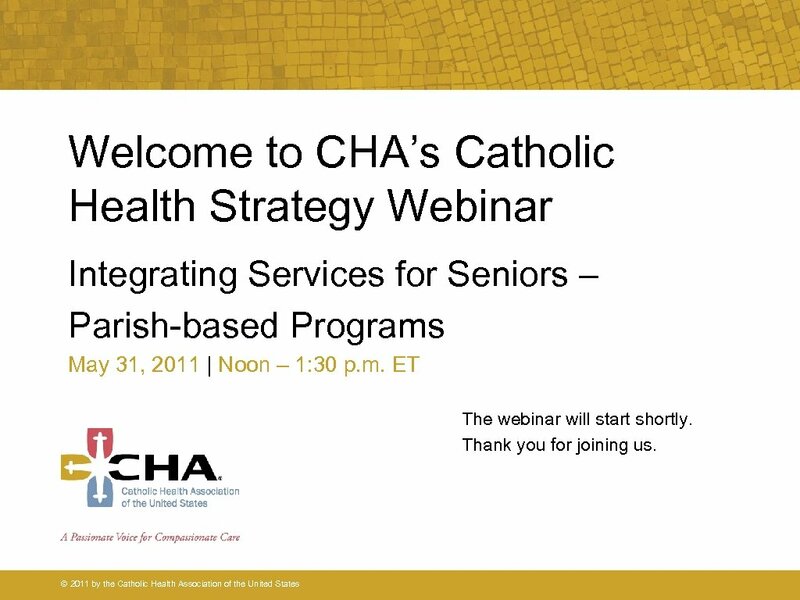 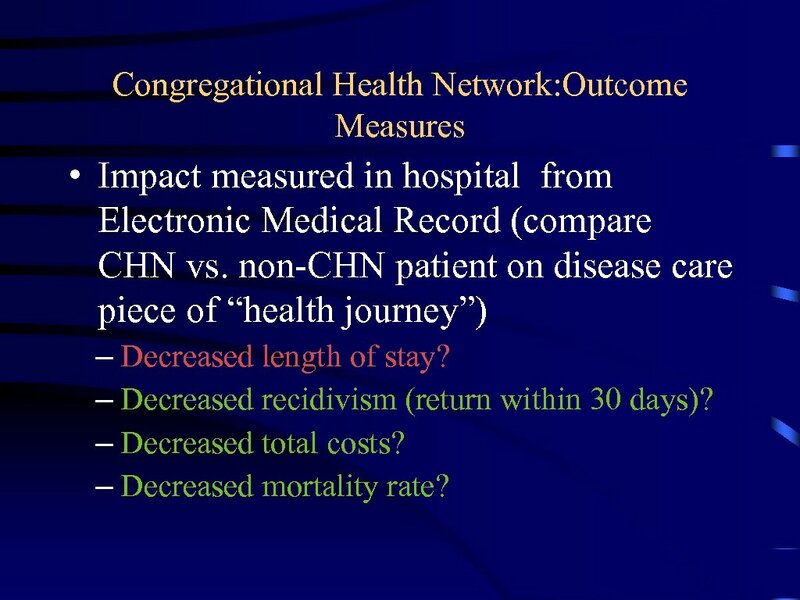 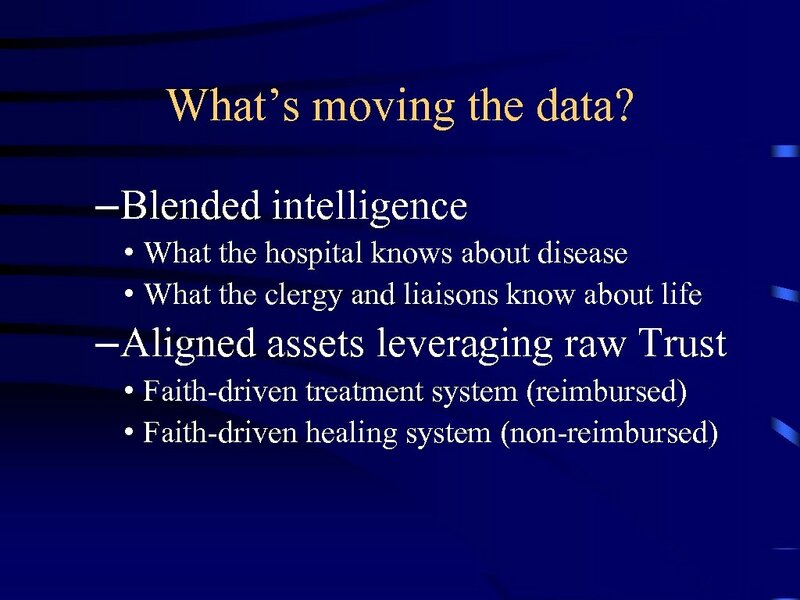 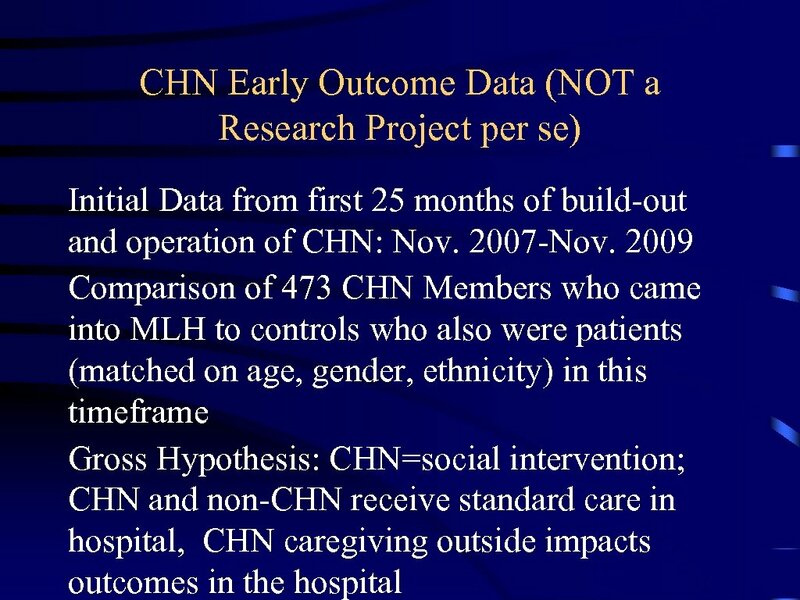 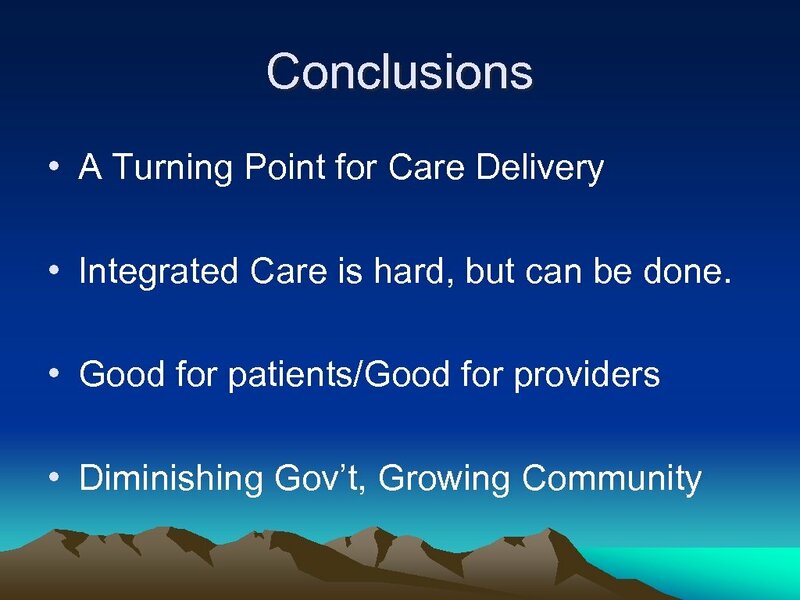 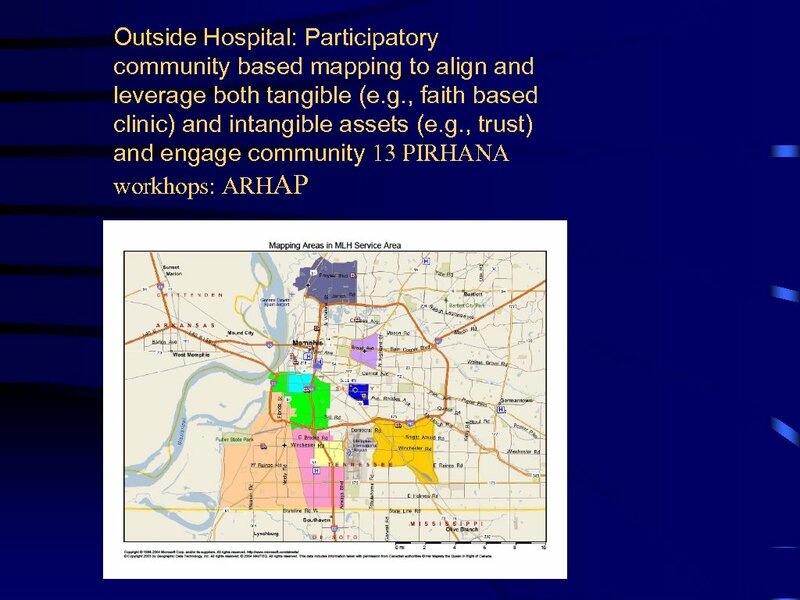 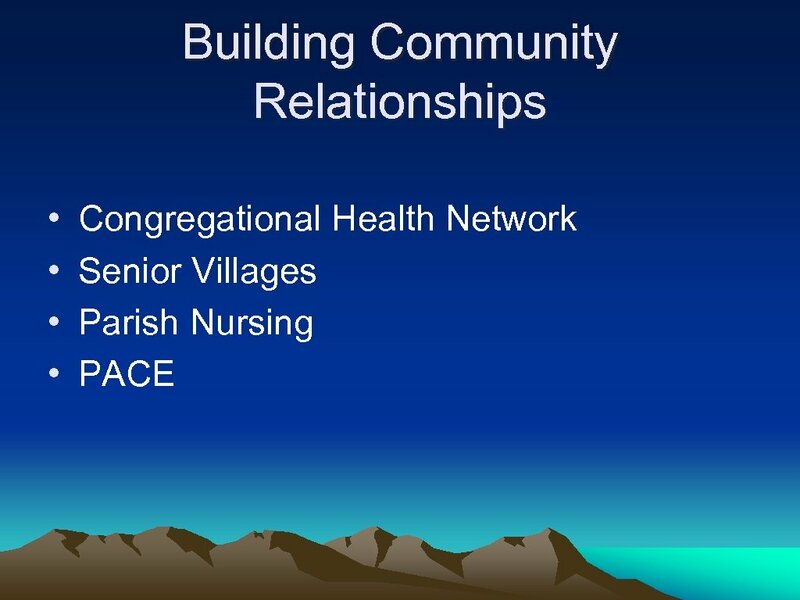 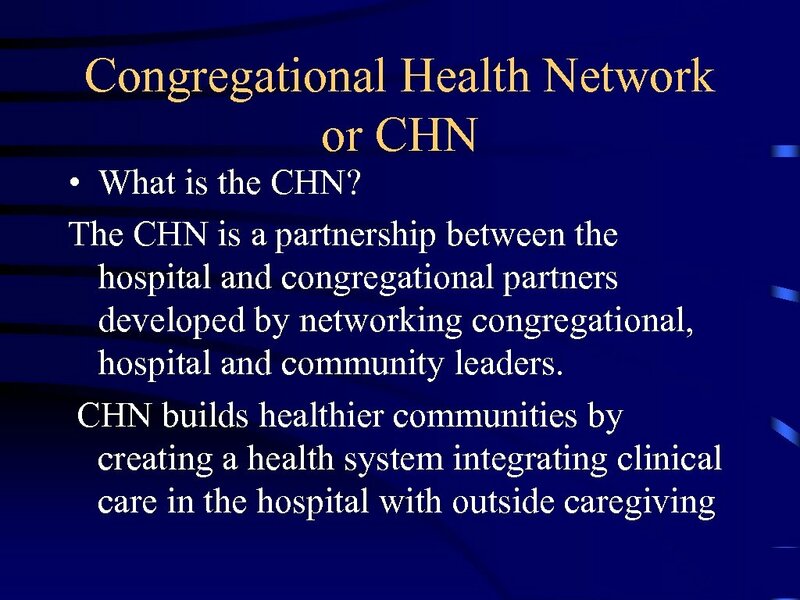 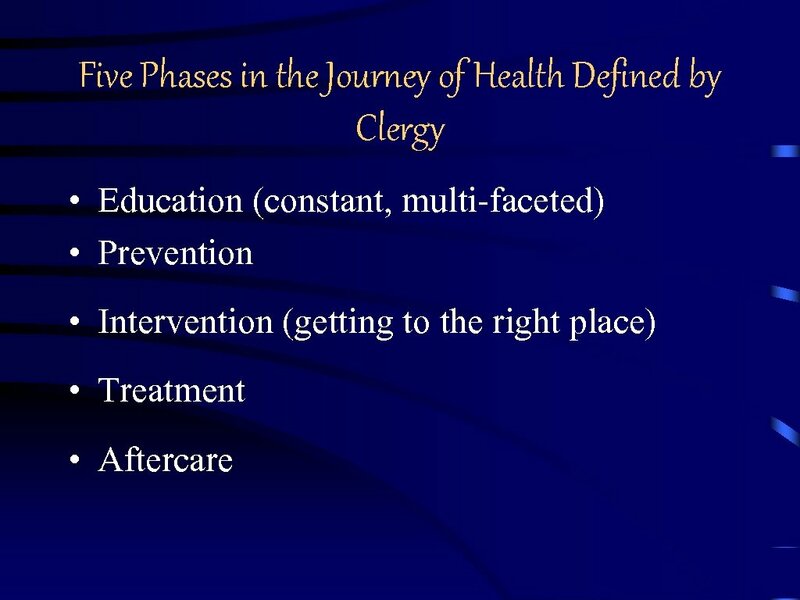 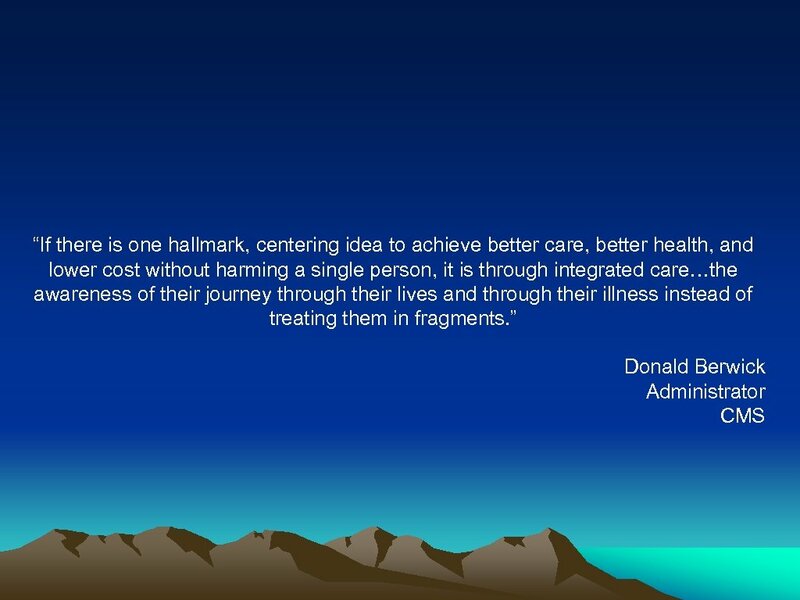 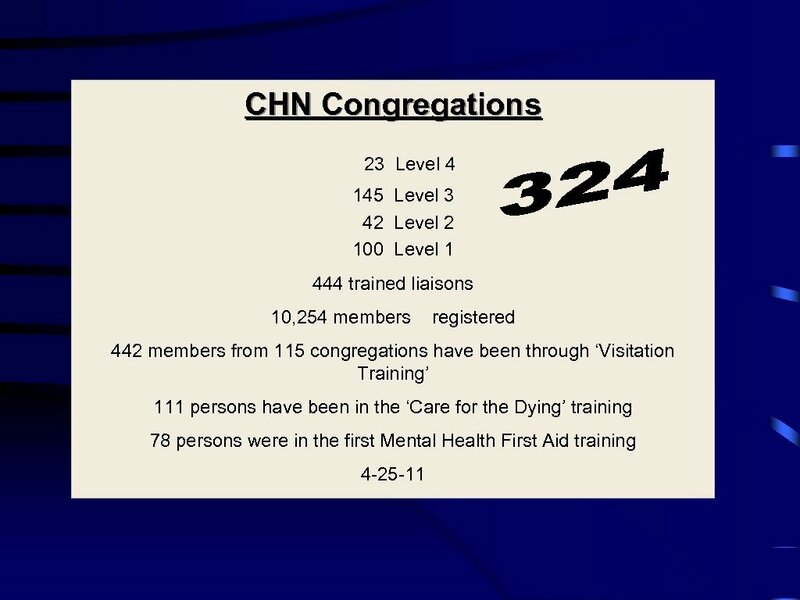 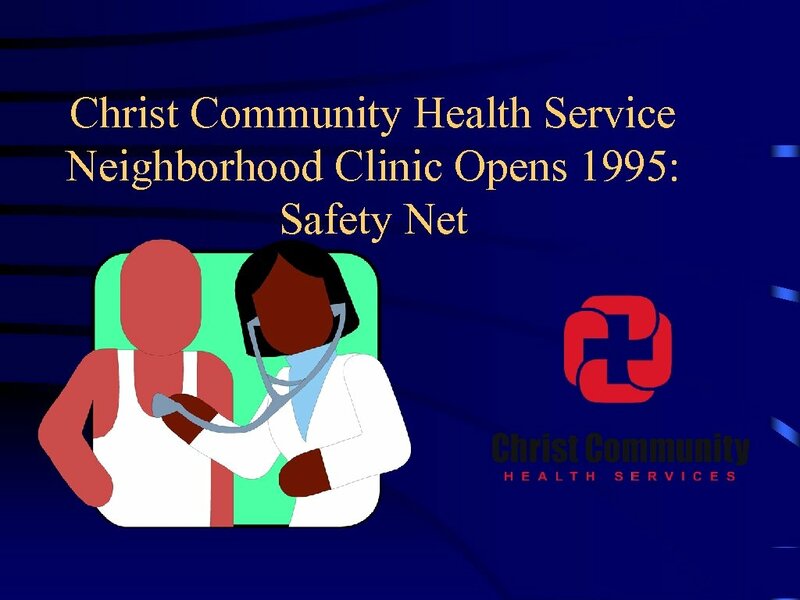 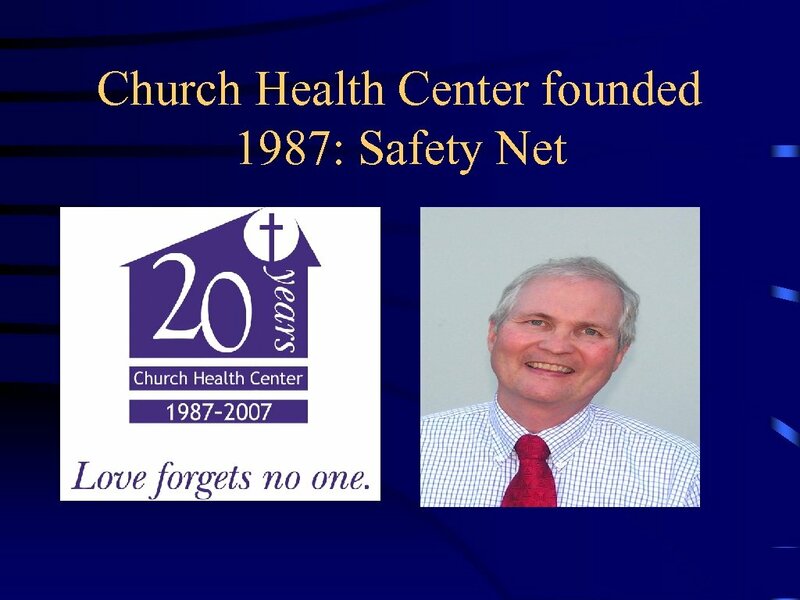 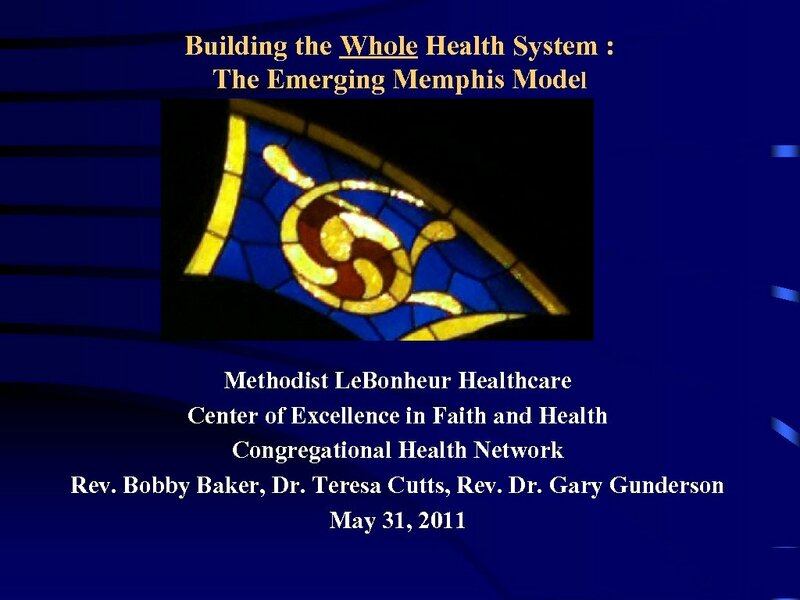 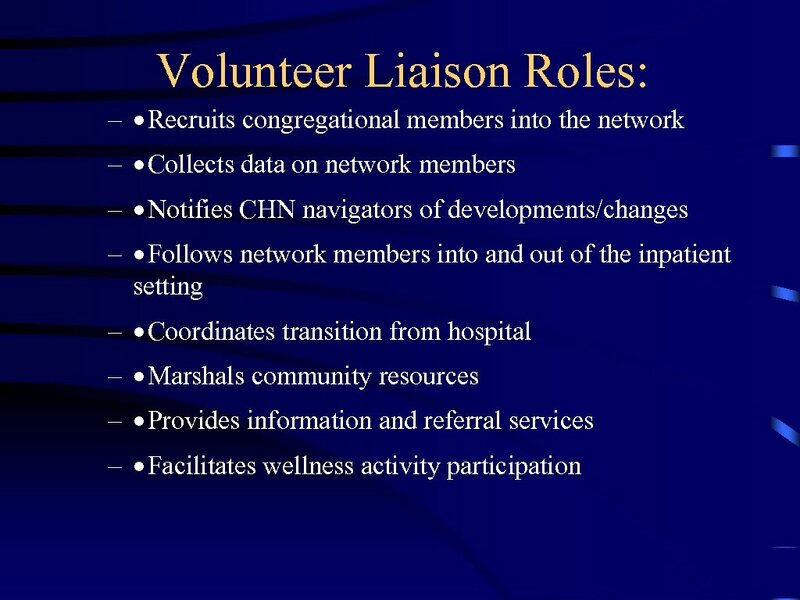 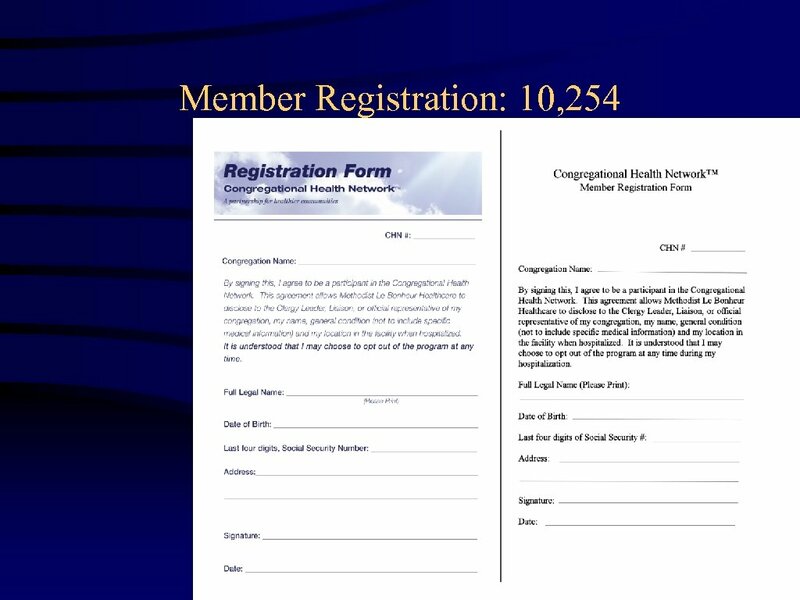 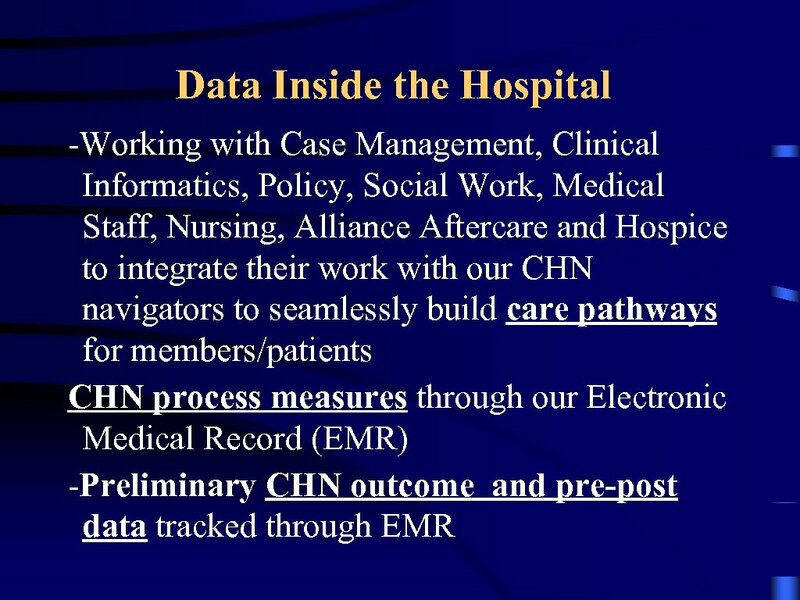 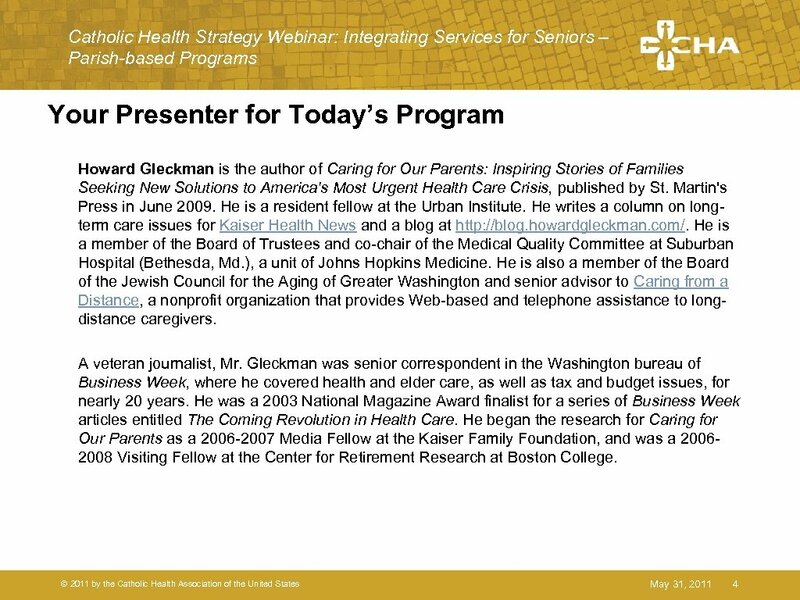 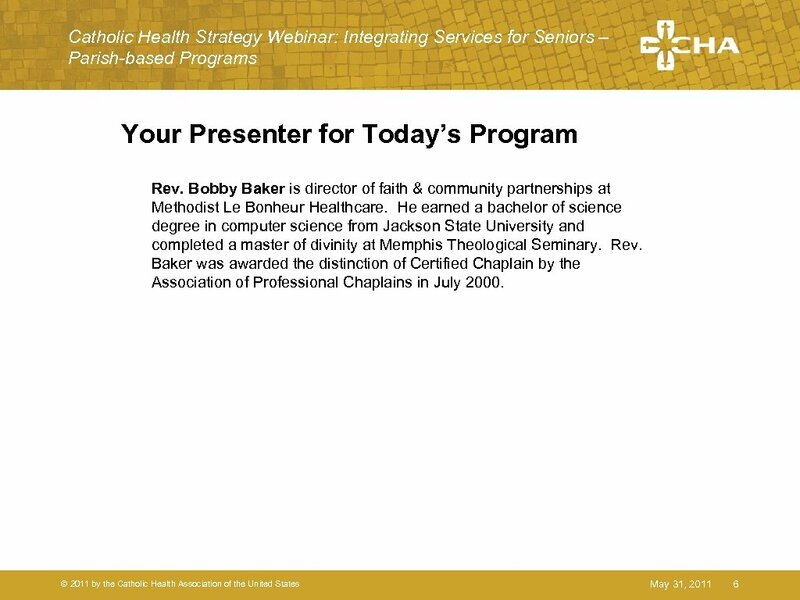 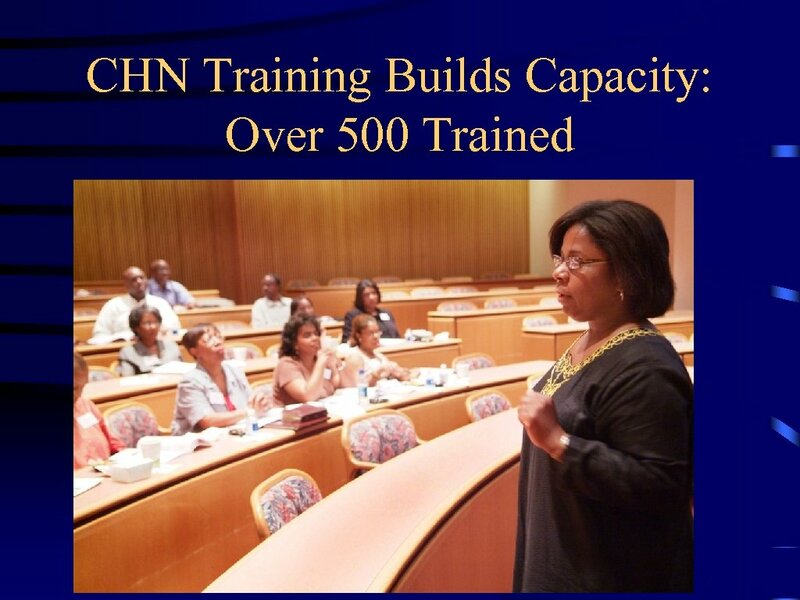 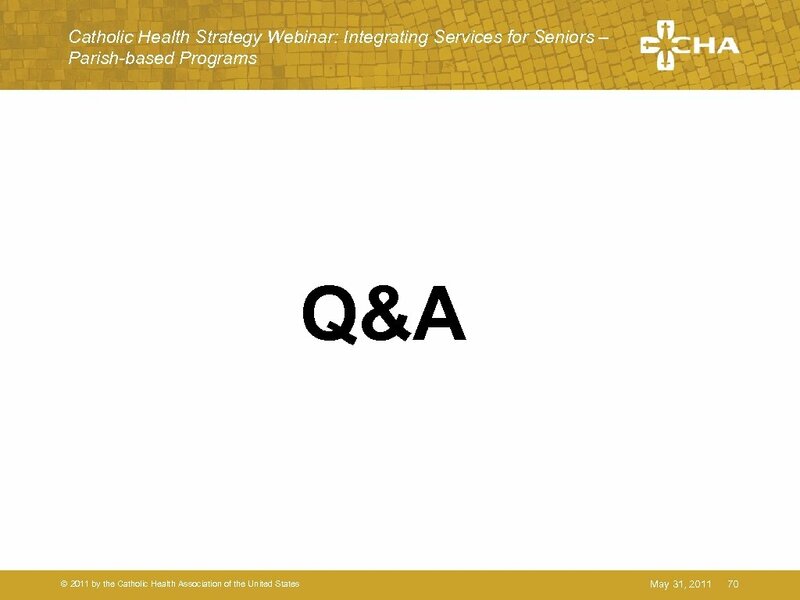 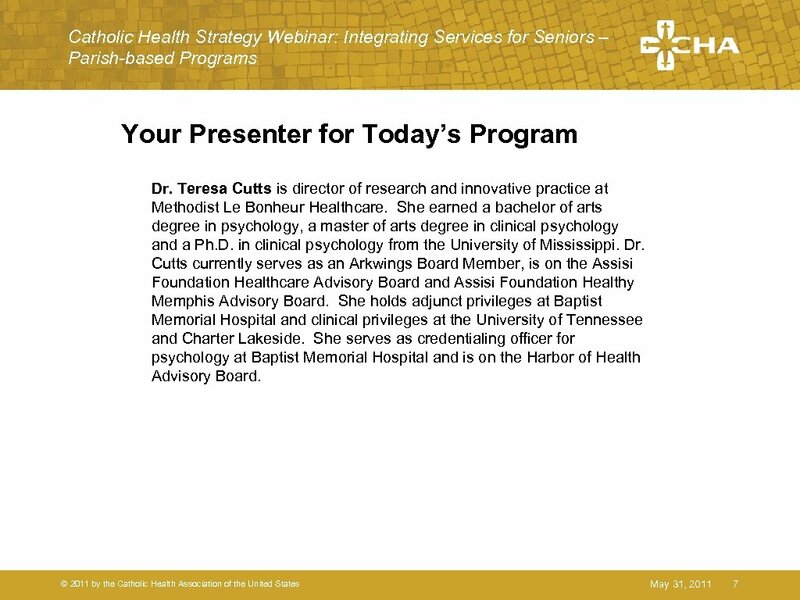 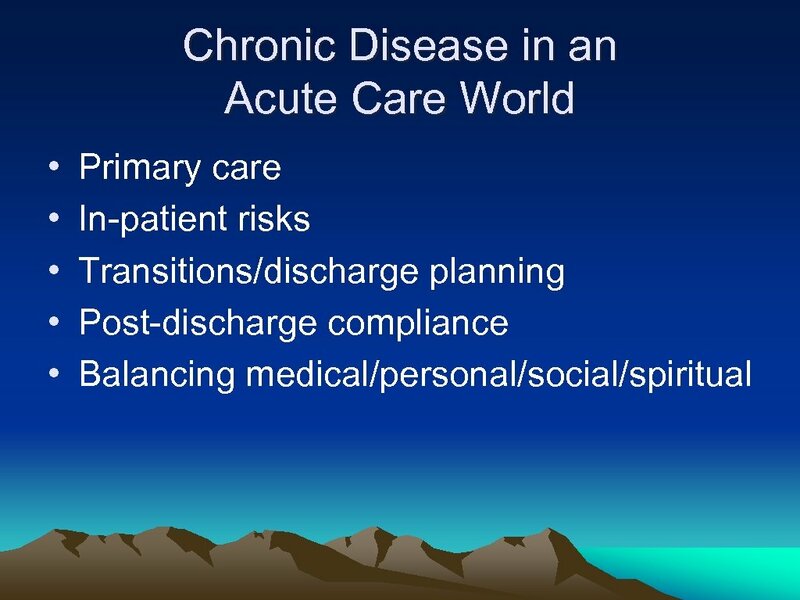 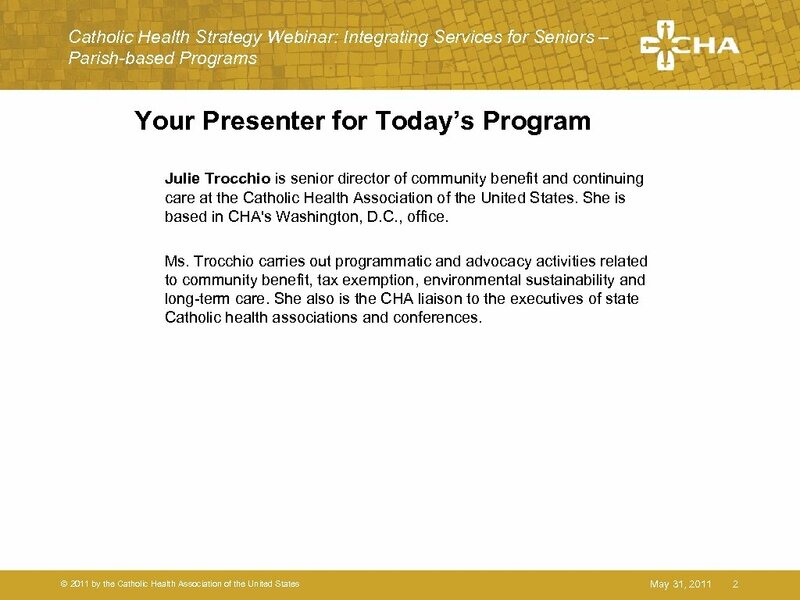 Congregational Health Network: Outcome Measures • Impact measured in hospital from Electronic Medical Record (compare CHN vs. non-CHN patient on disease care piece of “health journey”) – Decreased length of stay? 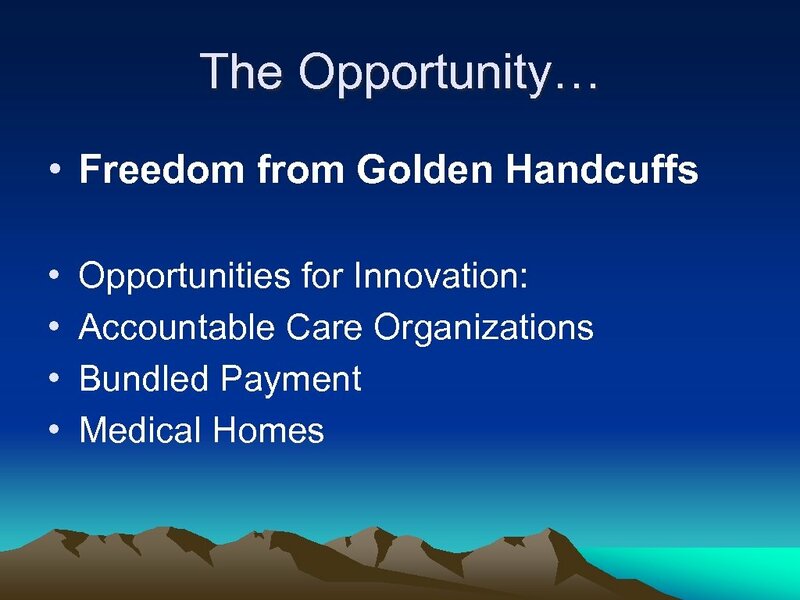 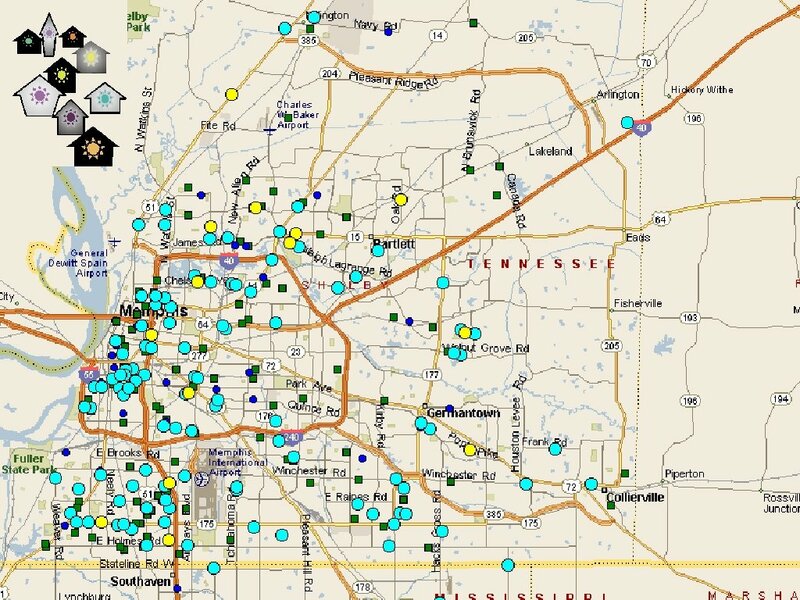 – Decreased recidivism (return within 30 days)? 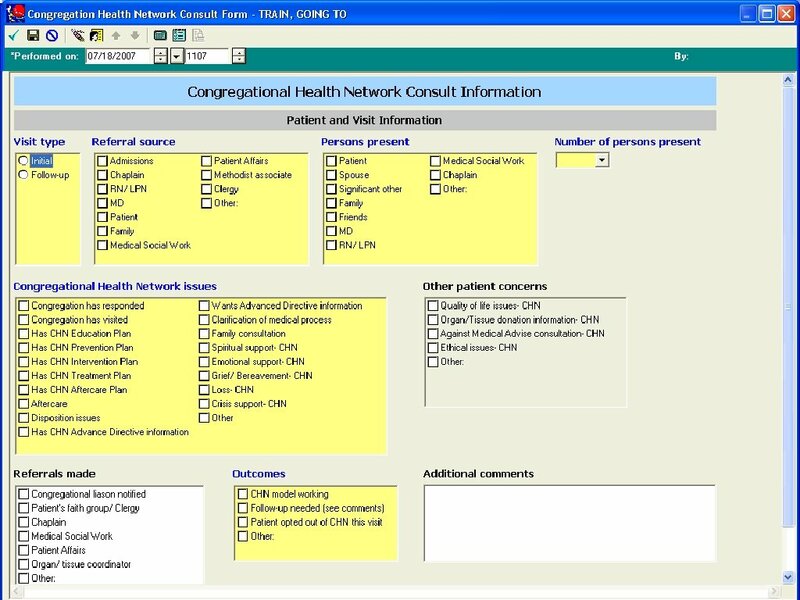 – Decreased total costs? 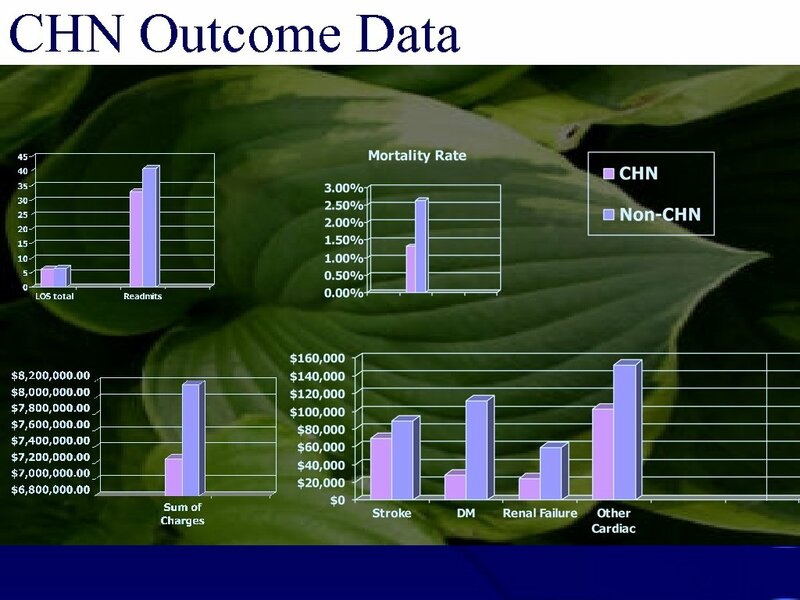 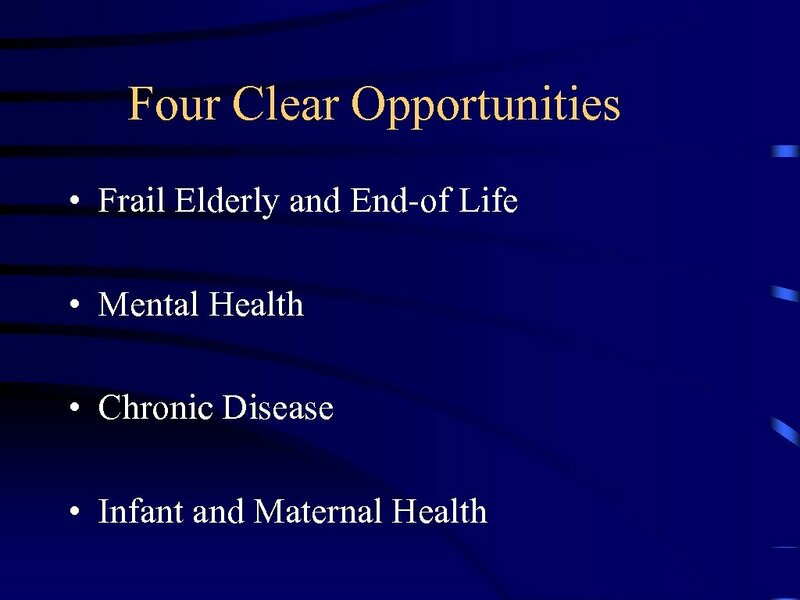 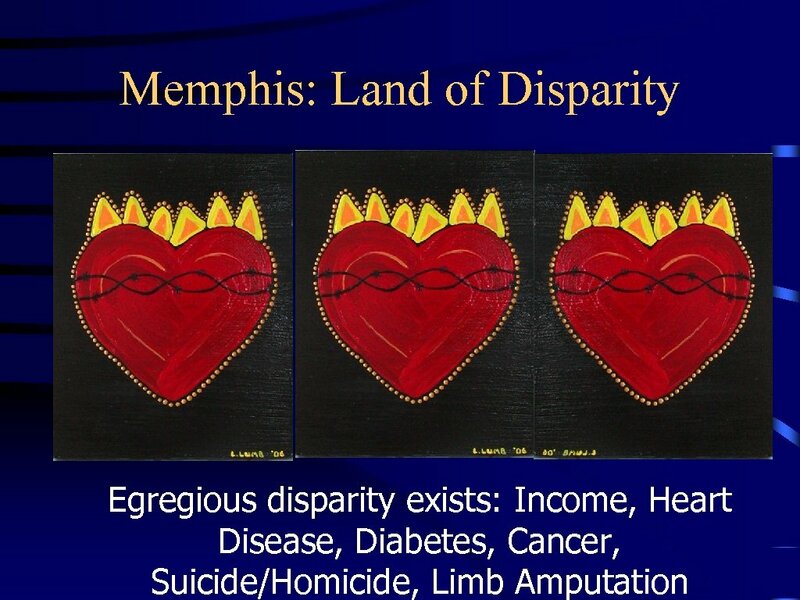 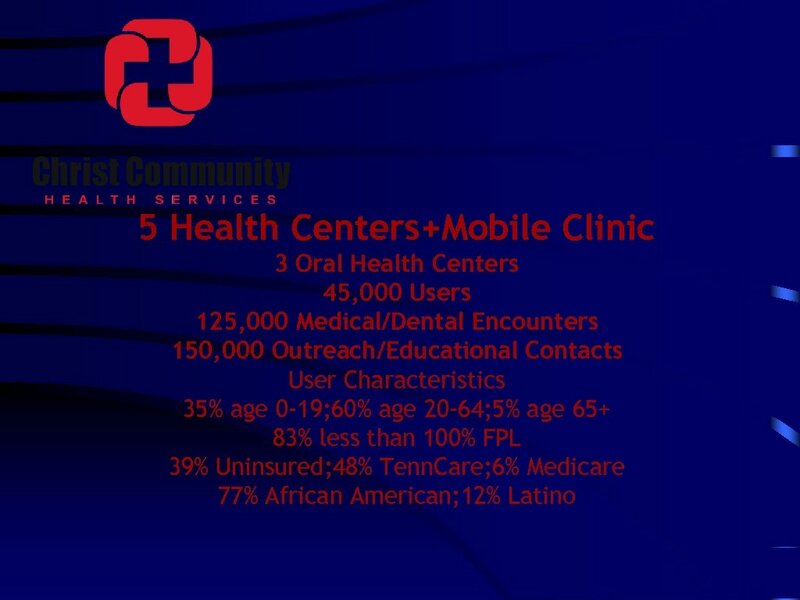 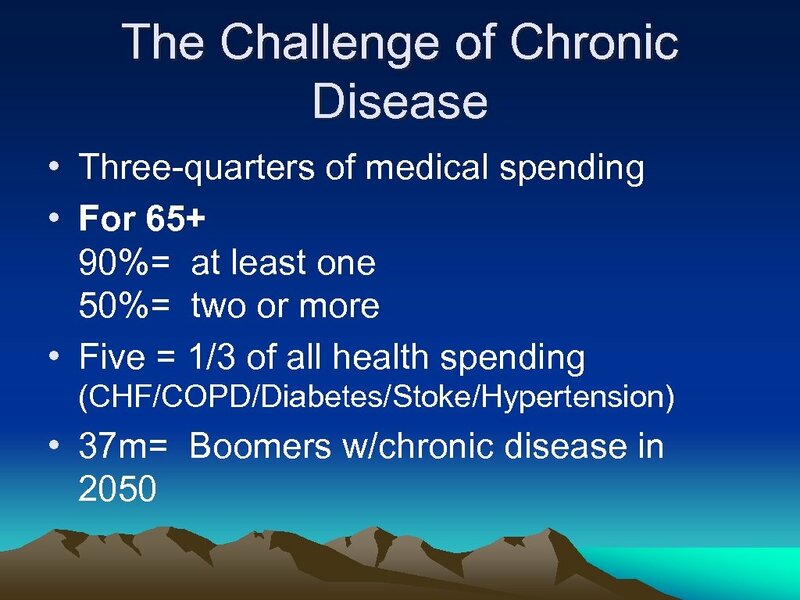 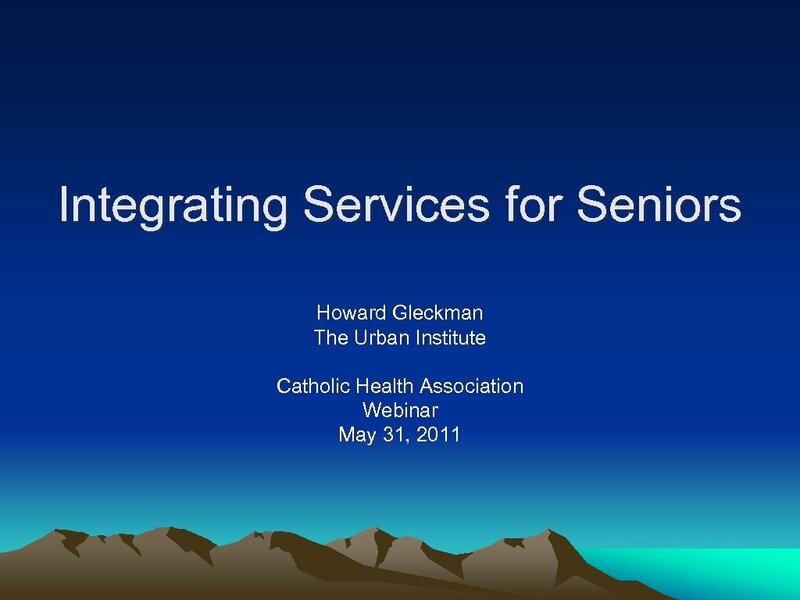 – Decreased mortality rate? 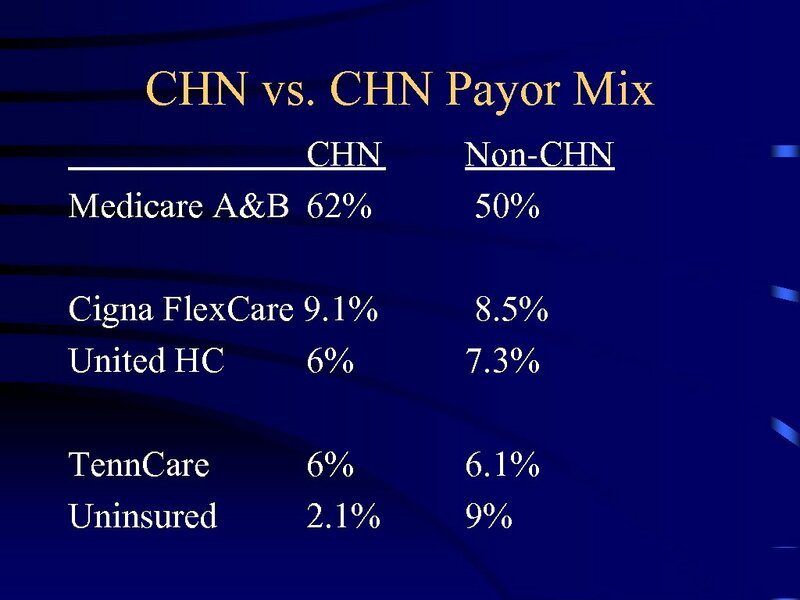 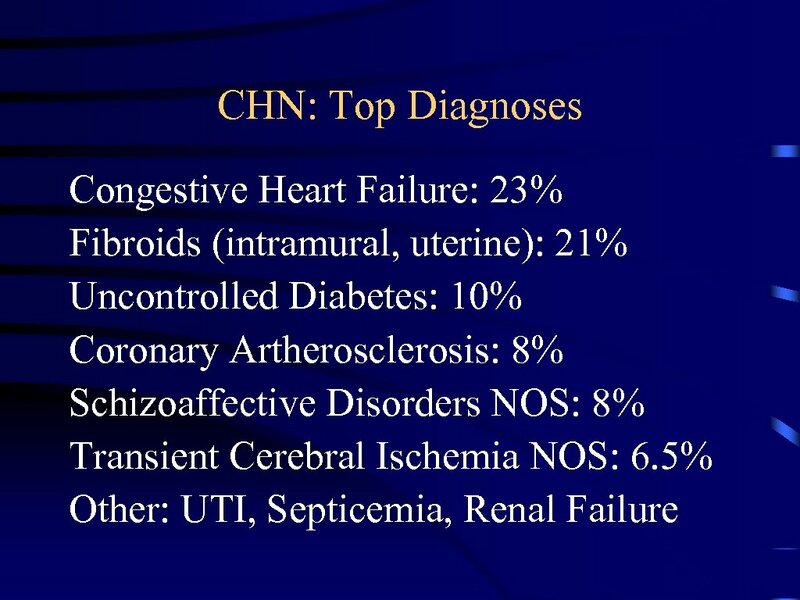 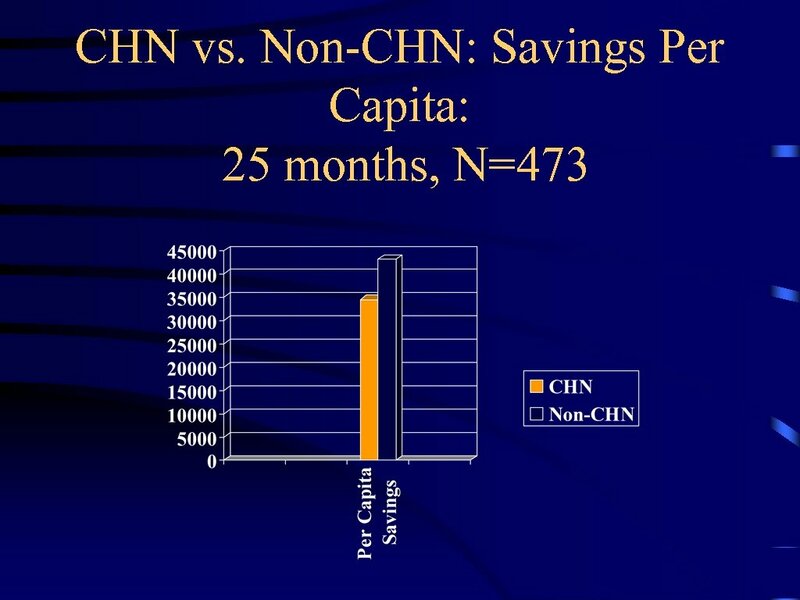 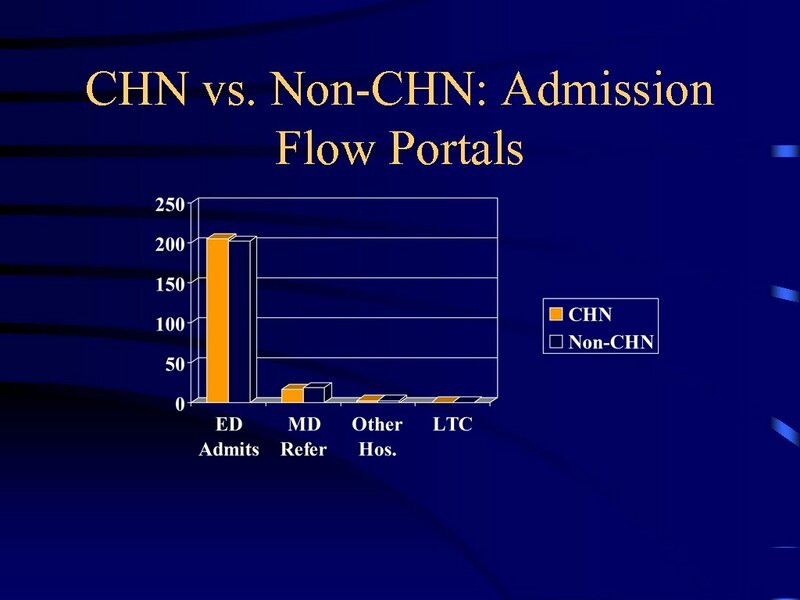 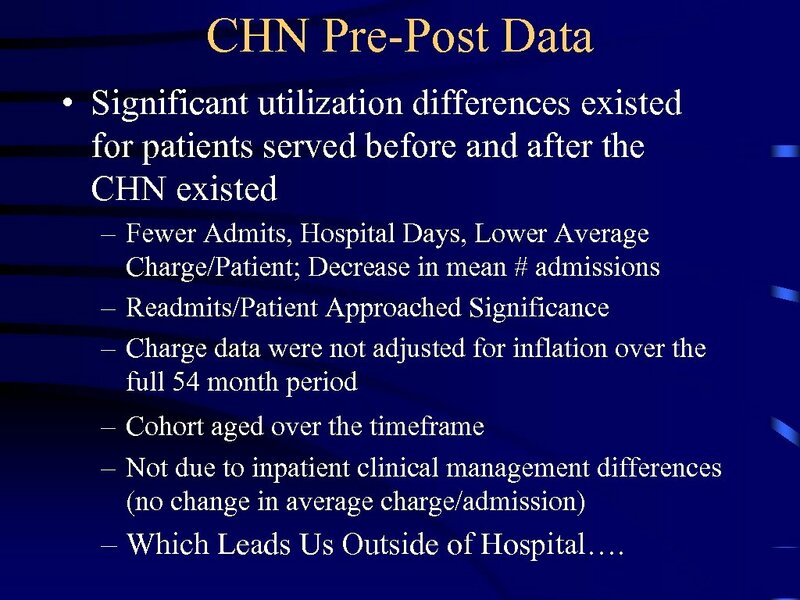 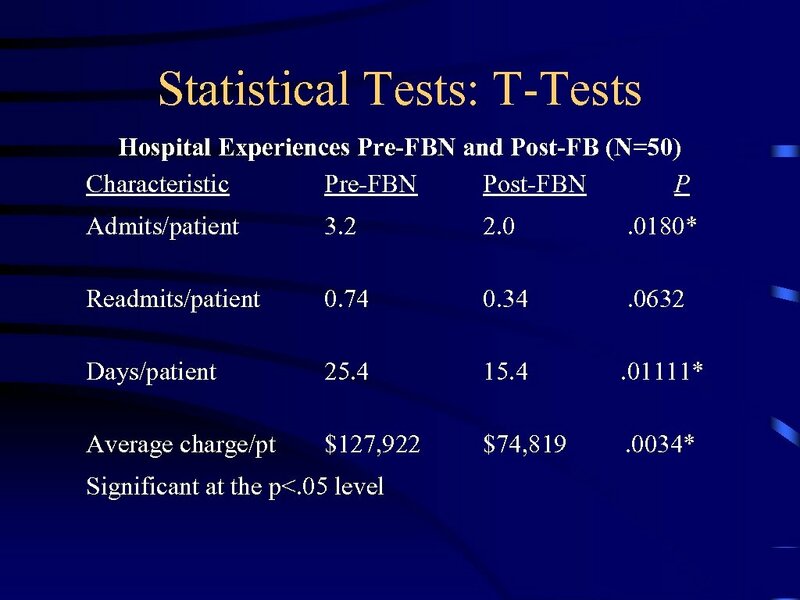 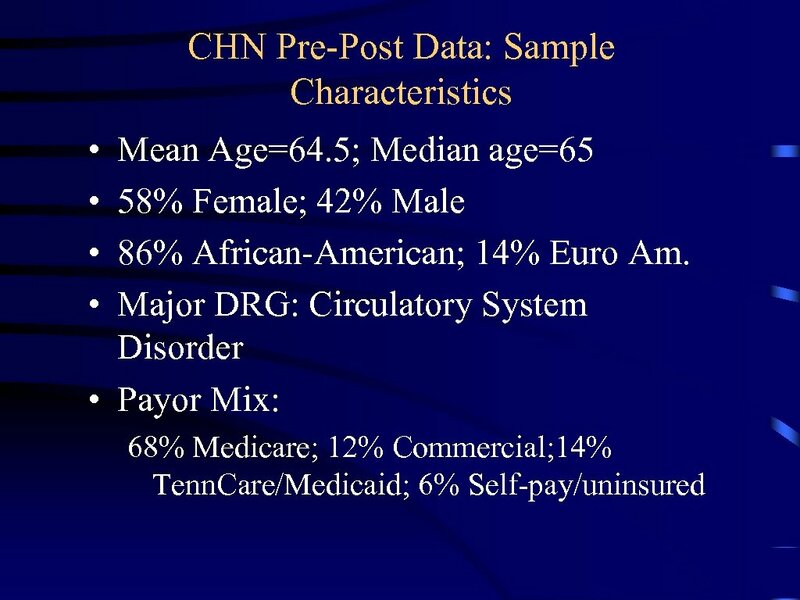 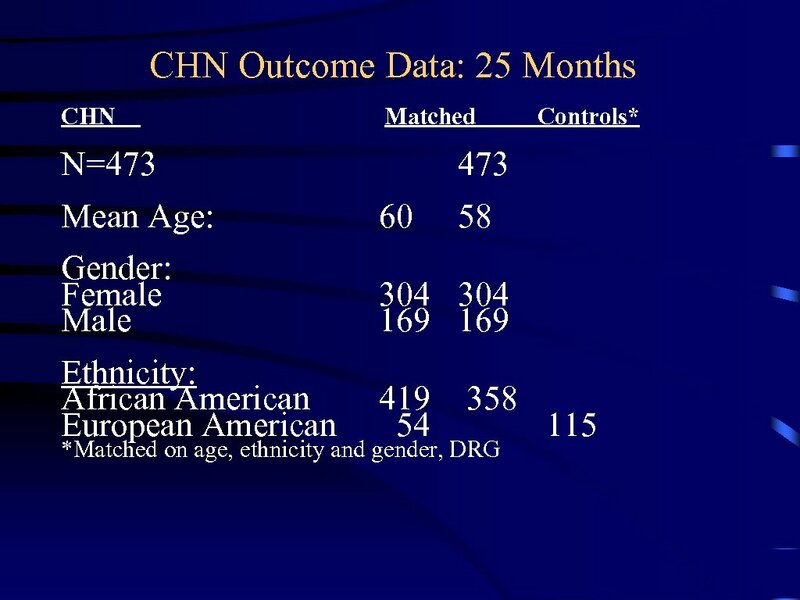 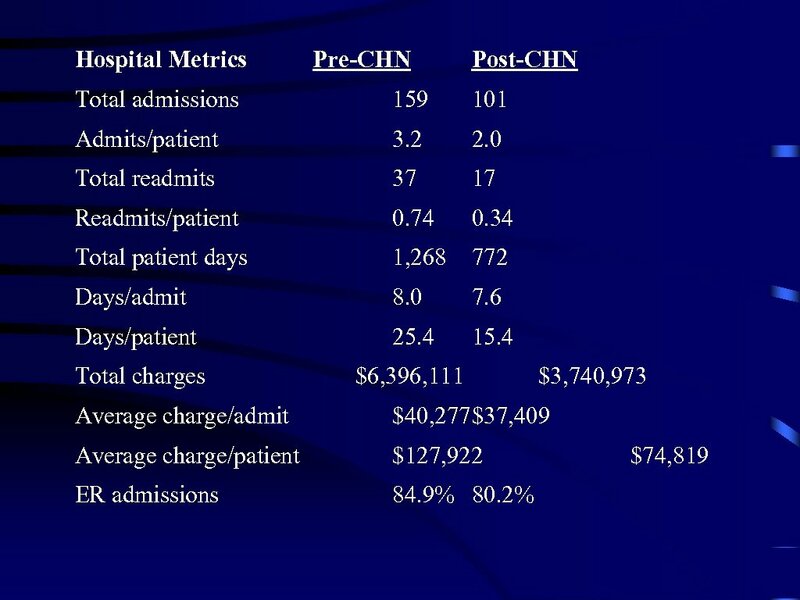 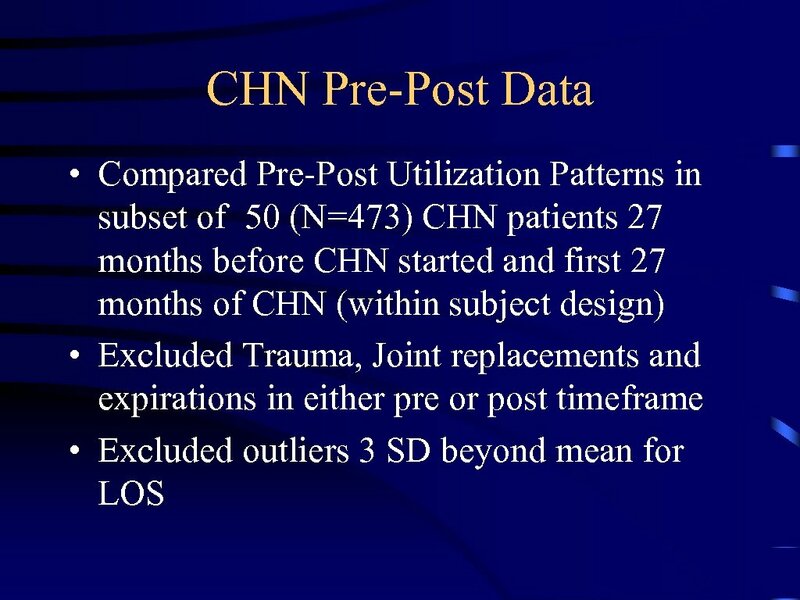 CHN Pre-Post Data • Significant utilization differences existed for patients served before and after the CHN existed – Fewer Admits, Hospital Days, Lower Average Charge/Patient; Decrease in mean # admissions – Readmits/Patient Approached Significance – Charge data were not adjusted for inflation over the full 54 month period – Cohort aged over the timeframe – Not due to inpatient clinical management differences (no change in average charge/admission) – Which Leads Us Outside of Hospital…. 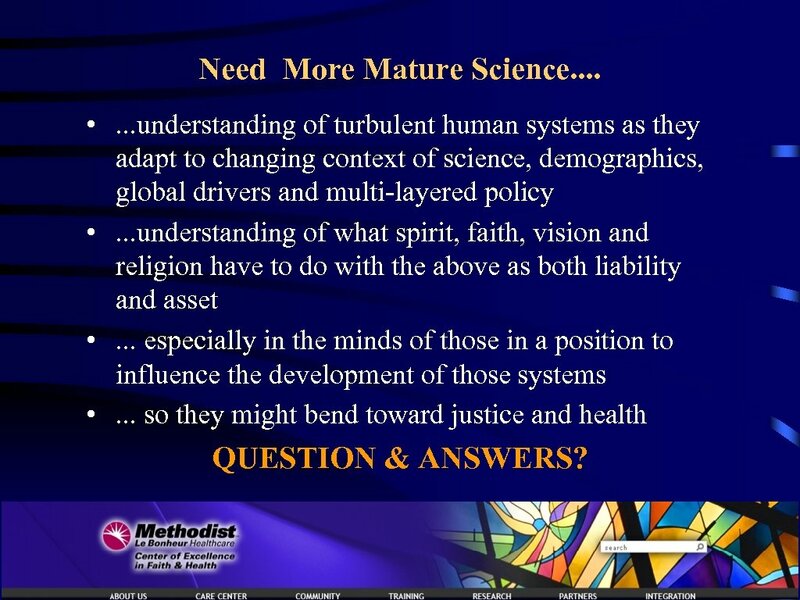 Need More Mature Science. . • . 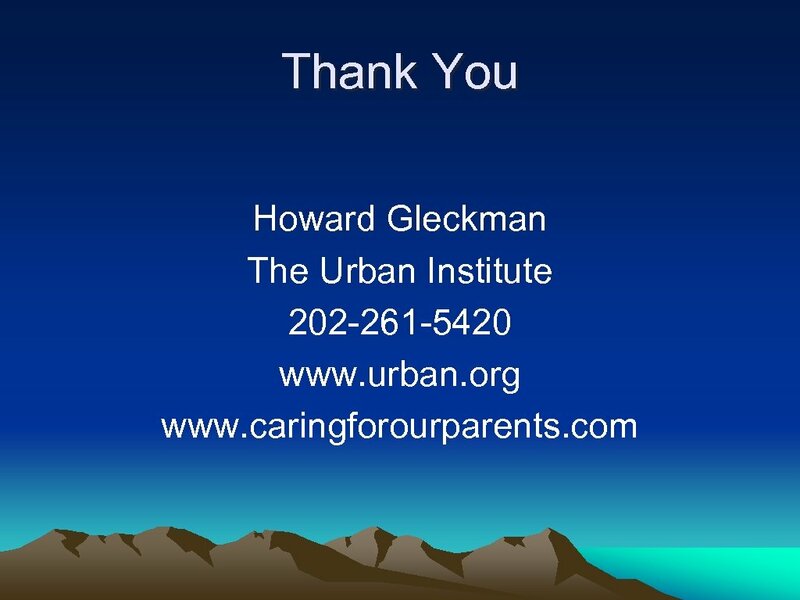 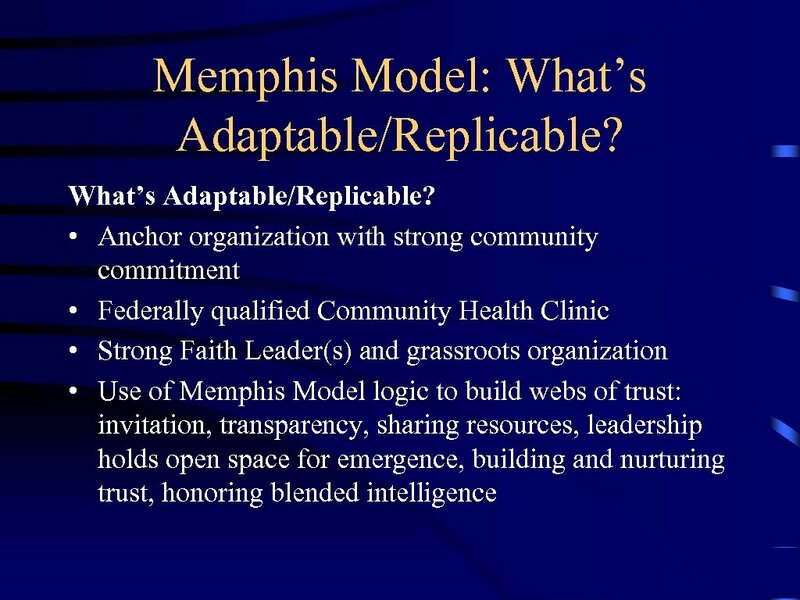 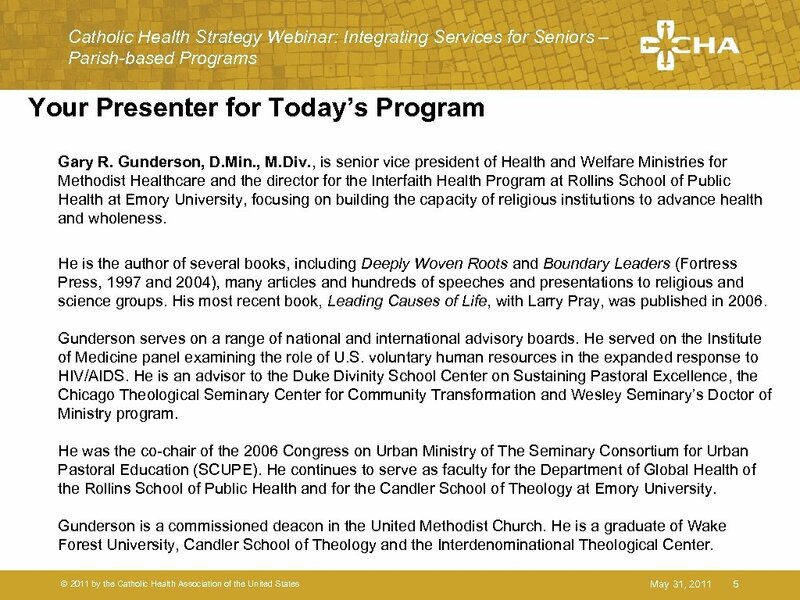 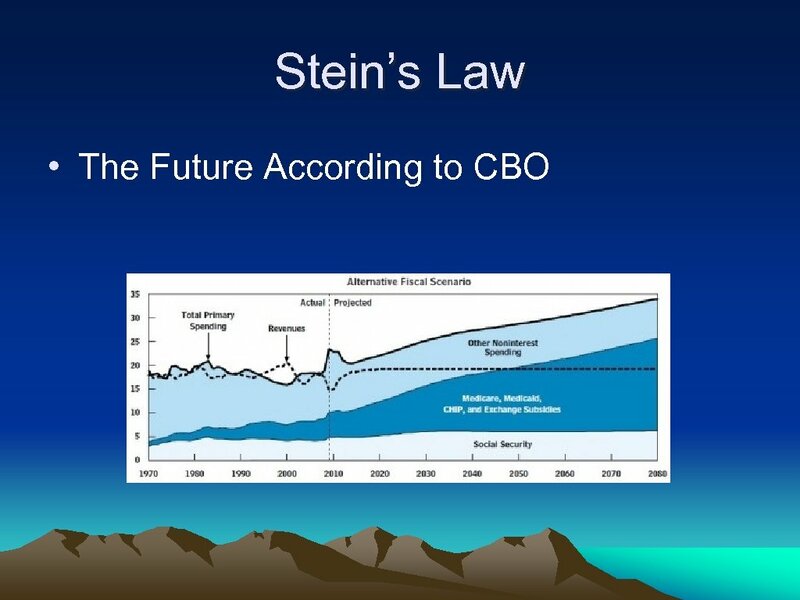 . . understanding of turbulent human systems as they adapt to changing context of science, demographics, global drivers and multi-layered policy • . 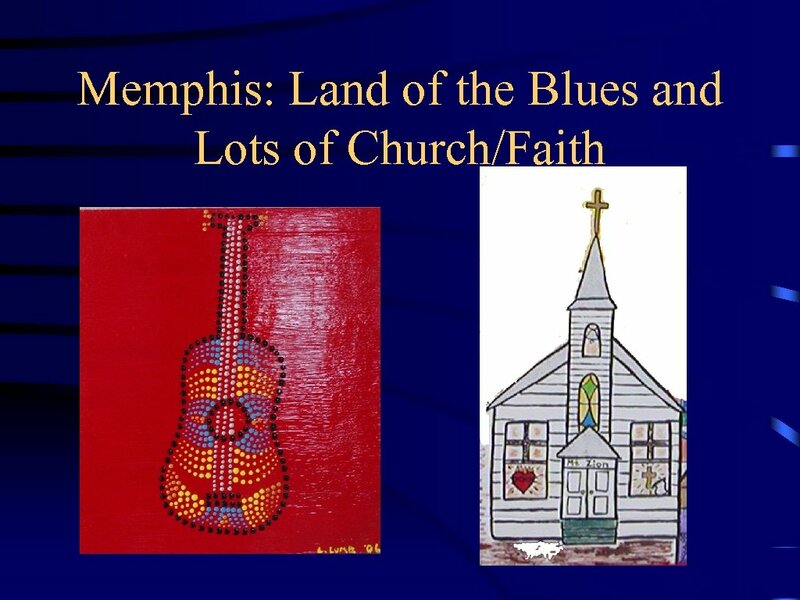 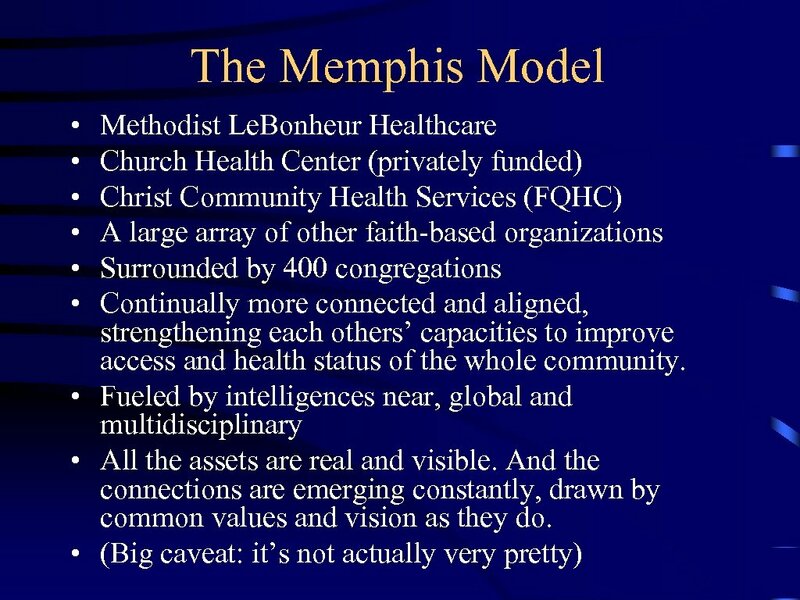 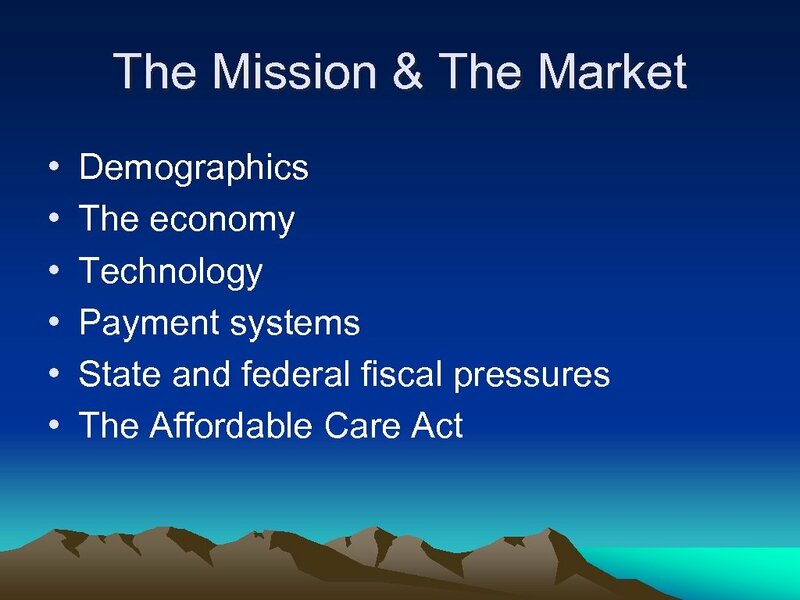 . . understanding of what spirit, faith, vision and religion have to do with the above as both liability and asset • . 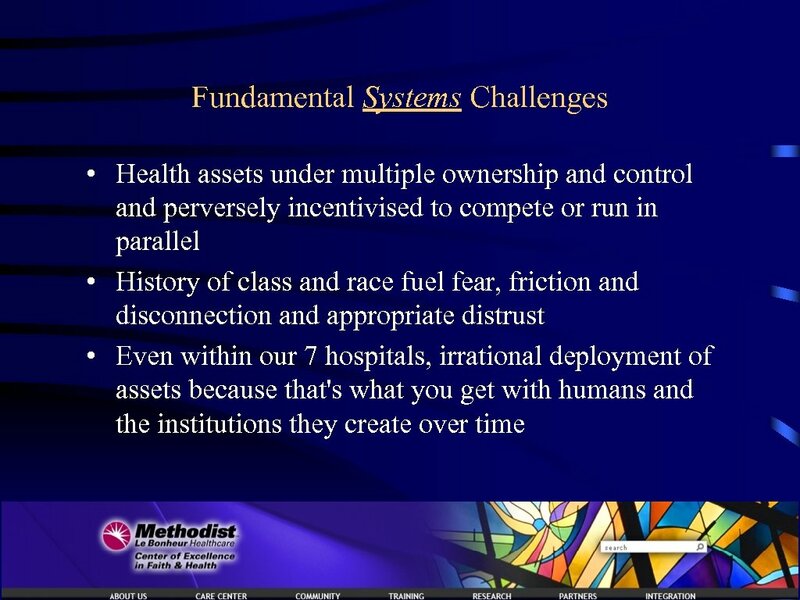 . . especially in the minds of those in a position to influence the development of those systems • . 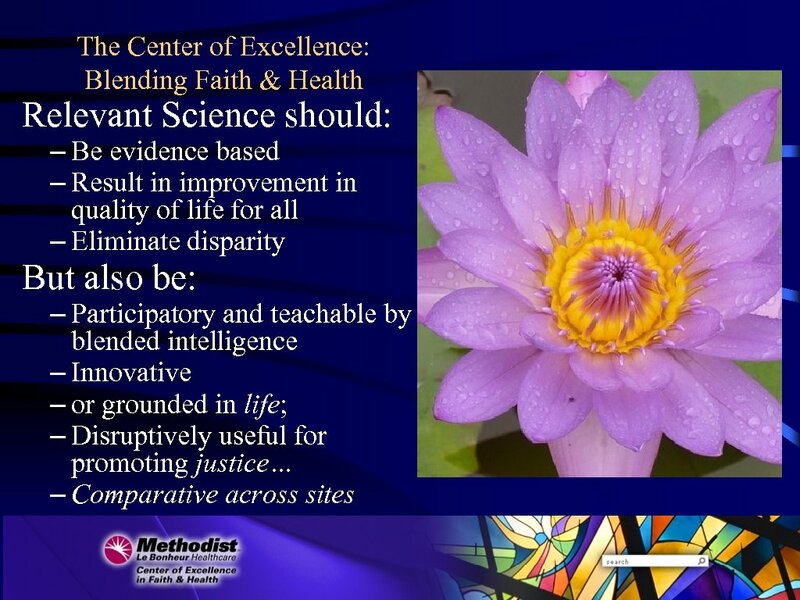 . . so they might bend toward justice and health QUESTION & ANSWERS?